Japan and India have enjoyed an unbroken history of friendship going back 1500 years. It was “Knowledge” that provided the first links between our two countries: knowledge of philosophy, math, medicine and religion. These areas of human endeavour remained an important element in our growing relationship over 15 centuries. In the 21st Century it is once again knowledge which is bringing us together again in ever closer embrace. The dynamic Indian economy powered by the knowledge economy and our expanding manufacturing industry, provides endless opportunities for partnership between India and Japan. There have been increasing contacts at the highest level, the most recent instance being the visit of Prime Minister Abe to India in August 2007. The visit has imparted a new impetus to the Strategic and Global partnership between India and Japan. The JIPF have taken steps to enhance our engagement in economic cooperation, environmental protection, energy security, security of the sea lanes and education and research. The JIPF, working in close collaboration with The India-Japan Partnership Forum (IJPF) in Delhi, under the leadership of Former Ambassador to Japan Mr. Arjun Asrani, seeks to assist in the process of bringing Japanese and Indian business and academic leaders together. This work of ours would give substance to the vision enunciated by our leaders described above. 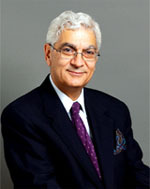 The Japan India Partnership Forum will work closely with the Confederation of Indian Industry (CII), the Federation of India Chambers of Commerce and Industry (FICCI), the India Brand Equity Foundation (IBEF), leading legal and accounting firms in India and Japan and premier educational and research establishments in both countries. The Forum will provide a unique gateway for Japanese business and educational leaders wishing to interact with their Indian counterparts, in a sustained and meaningful manner. The Forum will be in a position to provide a valuable data and information for Japanese companies, universities and think tanks desirous of establishing, or expanding links with Indian counterparts. It is our earnest wish that Japanese individuals and business and educational organizations, will avail of the opportunities provided by the JIPF. We hope that you will join us in this exciting venture, which aims at strengthening this unique partnership between Asia’s two most important democracies, which are also Asia’s strongest and third strongest economies. The nascent 21st Century has seen the historic advancement of India-Japan relations to the level of Strategic Global Partnership. Japan has many friends in India, cutting across many interests like industry and commerce, professional services, religion and culture, democratic politics, academics, science & technology as well as strategic think tanks. Yet there has been no single platform in Delhi where all such friends could meet among themselves and their Japanese counterparts on a regular basis. It is precisely to fill this gap that the India-Japan Partnership Forum (IJPF) has been conceived with its secretariat located in FICCI in the collaboration with The Japan-India Partnership Forum (JIPF) in Tokyo. This Forum with JIPF, it is hoped, will give concrete shape to the expressed desire of the two Prime Ministers to promote greater people-to-people contacts. 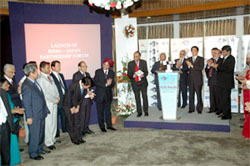 FICCI is one of the leading organizations that have recognized the importance of Indo-Japanese relations. Over the years it has worked diligently to improve bilateral trade, investment and people-to-people contacts. You will be pleased to know that the India-Japan Partnership Forum was formally launched by the 90th Prime Minister of Japan H.E. 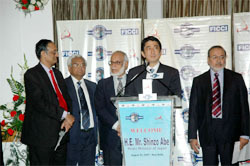 Mr. Shinzo Abe on 21st August, 2007 at a brief ceremony at India International Centre, New Delhi. Looking forward your visit to India as a member of the JIPF.